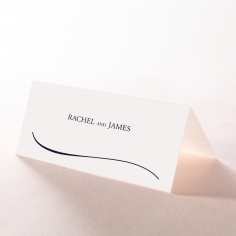 This polished, sophisticated design creates an almost Hollywood sense of style. 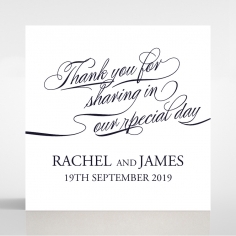 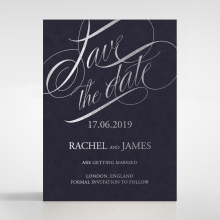 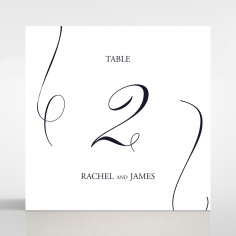 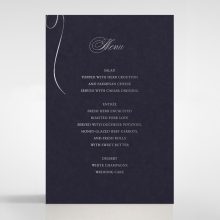 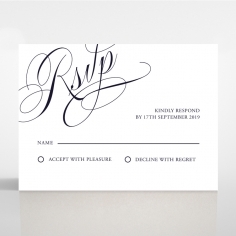 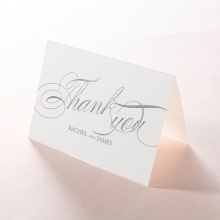 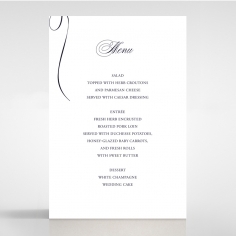 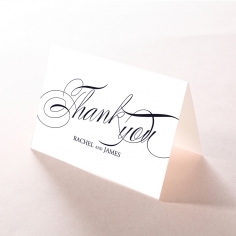 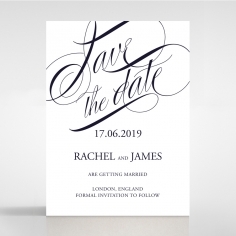 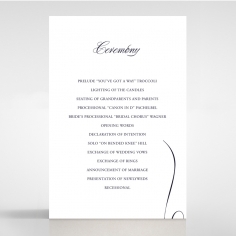 Your guests first see extravagant script announcing a wedding, with your details printed beneath. 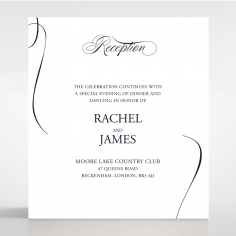 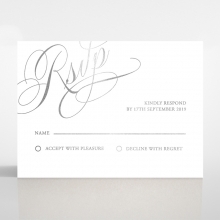 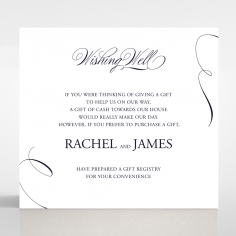 This invitation is made of our premium paper, which is extra heavy cardstock that responds magnificently to our hot foil stamping technique. 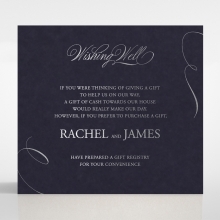 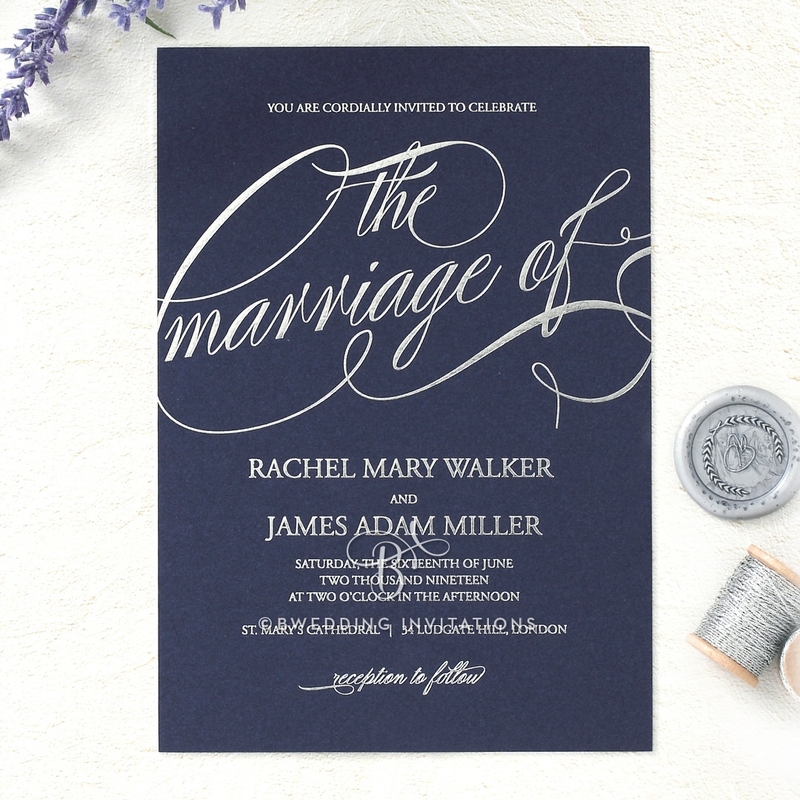 This example is navy cardstock with gloss silver stamping. 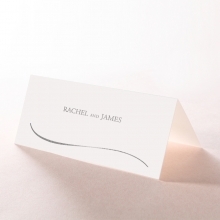 You can also order it in white with rose gold stamping and black with gold stamping. 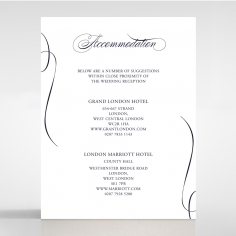 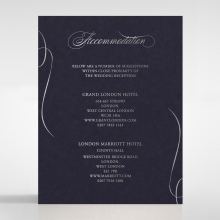 The matching Stationery Suite is also stamped with real foil, creating a striking ensemble. 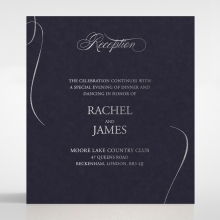 PAPER:Luxury Cotton - Matte, Extra Heavy Card 600gsm, Foiled Edging.